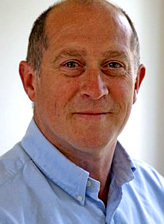 Paul is an Organisational Development (OD) Consultant and Executive Coach of 18 years experience. He works extensively developing and supporting Senior Executives in organisations large and small. His practice is founded on a sound commercial pragmatism, shaped by a career in consulting, as a line manager in industry, commercial banking overseas and the military. Organisational Consulting – Paul works with organisations and their leaders to help them work through the challenges of getting the most out of their people. Using contemporary thinkings and practices around Leadership Learning, Strategy and Change, he helps organisations find practical and accessible ways of engaging more of their people in driving their business forward. Leadership Development is the bedrock of his approach to organisational improvement. From his early career in the military Paul remains intrigued by leadership learning and how organisations develop the next generation of talent early. He works with a flare and passion to help people develop ‘their’ sense leadership, learning how to express it and bring it powerfully alive. Team effectiveness – With Teams being at the centre of much business activity, Paul draws on a wide array of thinking and experience helping teams learn, bond, grow and communicate in a more dynamic and engaging way than usual. He also engages participants in visceral exercises that develop an understanding of organisational dynamics and the impact on ‘me and my role’. 1:1 and Team Coaching – As an AOC Accredited ooach, and Academy of Exec Coaching (AoEC) Master Practitioner with many 1000’s of hours coaching experience. Paul is a quality coach, his clients valuing him for his pragmatic and challenging approach. Facilitation of Meetings and ‘awaydays’ - Paul has facilitated many hundreds of business and strategy meetings. His events are characterised by the quality of communication and debate, facilitating contribution and engagement from all. Paul has a vibrant talent and passion for this work. He is valued for his experience and calm approach that catalyses engagement, change and action in people. He mixes a sharp behavioural intuition and insight with a forthright approach. Some see him as ‘spikey’, others as ‘different’ and innovative. He is highly regarded for bringing robust challenge, giving the difficult message with empathy and offering practical insights to create change. He thrives on working with Leaders and Executive Teams who are committed to improving their performance, getting more from themselves, their people and their careers.